This case was designed for Cisco Systems. 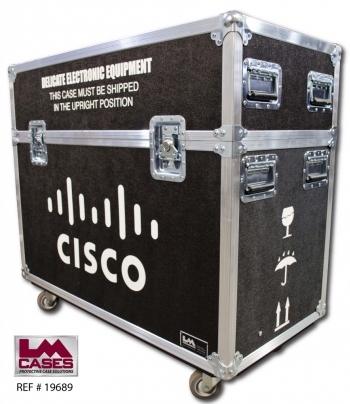 The case holds one Cisco CTS500-32 monitor with the base attached. 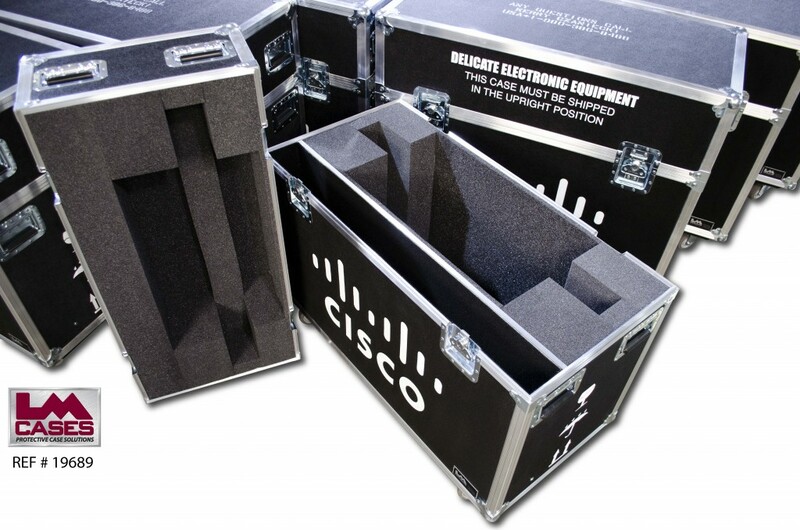 The monitor is cradled in a custom foam lined compartment, the case interior also features a 4" black carpet lined accessory compartment. The exterior case is built out of 3/8" plywood and features 3.5" casters, 8 handles, and silkscreens of the Cisco logo as well as our standard "Delicate Electronics" and "International Shipping" logos. Special thanks to Cisco Systems!